The arms are those of the Dutch (Frisian) families Nauta Beuckens and Swalue. 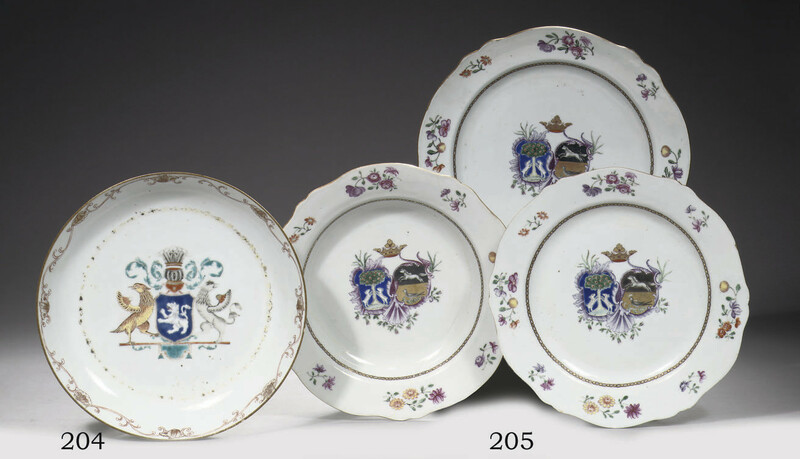 Dr. Jochem Kroes discusses these arms in Chinese Armorial Porcelain for the Dutch Market, Zwolle, 2007, pp. 461-463, in which he states this porcelain is part of a dinner service of which about 160 pieces are known. A similar plate was sold in these rooms on 14-16 February 2006, lot 1107.